I’m booked to stay on two different Thai islands across the next ten days. If last night is any indication of how the next week will go, I’m going to need to go to a third island to detox after this trip is over. 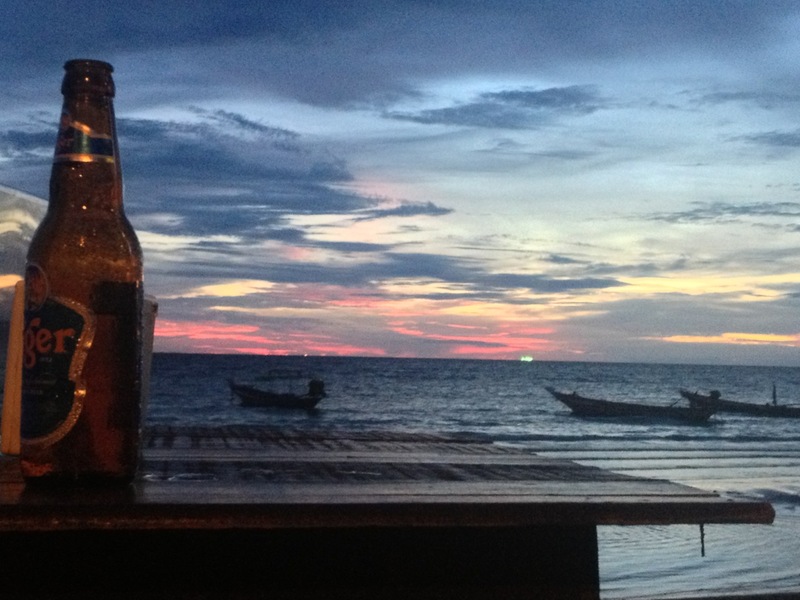 Last night started out mellow enough with a nice sunset and expensive happy hour beers ($1.60). It was somewhere around this time that I realized the pictures I had been taking for the last hour were just distant memories and that I didn’t have a memory card in my camera. Later in the evening, I stumbled across a pub crawl. One of their stops is a ladyboy cabaret show. Sometime after that we went to a beach bar with two tables setup in the water and children playing with fire. I ended the night around 3:30 AM after this beach rave slowly started to die out. 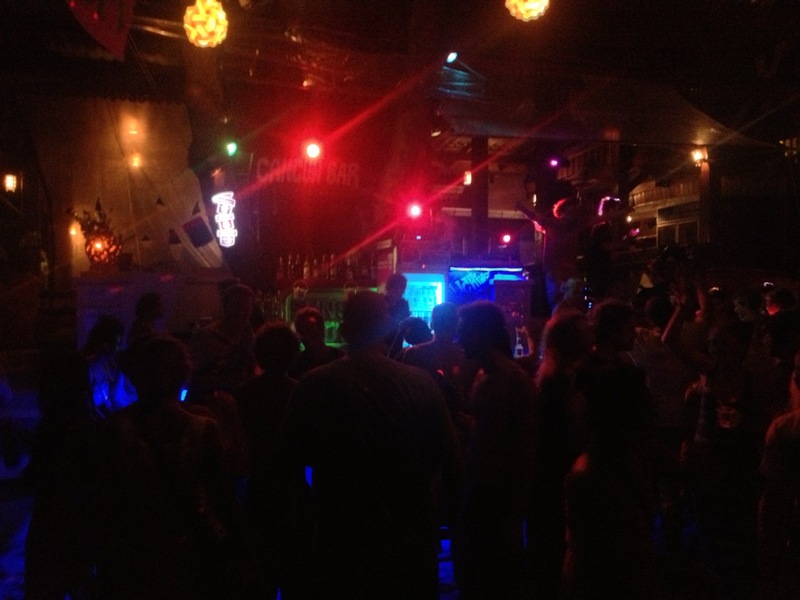 This entry was posted in Thailand, What's up with Mike and tagged Koh Tao, Pub crawl, Restaurants and Bars, Thailand. Bookmark the permalink.